Move freely while staying protected from the elements in Canterbury’s ThermoReg Gilet; a perfect combination of thermal engineering and ergonomic design. The ThermoReg Gilet has been engineered to offer superior protection against the elements, while still maintaining comfort and freedom of movement. Constructed with 100% Polyester, the quilted front panel employs Canterbury’s ThermoReg thermal regulation which retains warmth while avoiding heat build up in key areas, allowing the body to regulate its own temperature. The forward facing side seams also allow for a greater range of movement during exercise and the reflective CCC logo identifies the wearer as a member of the Canterbury community of players and fans. 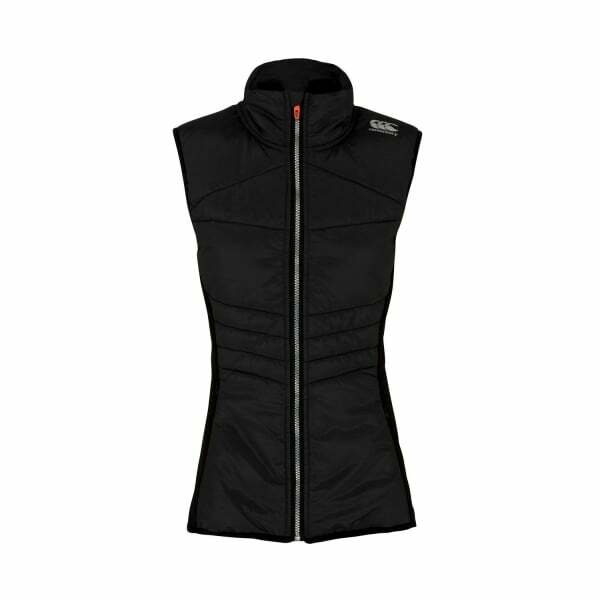 A great gilet for those colder days and a great addition to your sports casual wardrobe.